If you need to locate your Little Wonder power equipment model number and serial number, we can help! 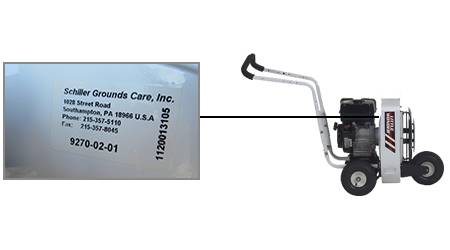 The model and serial number on Little Wonder equipment will be found on a label similar to the one shown in the image. 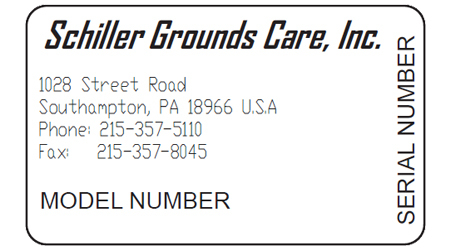 The model number will be located at the bottom of the label and the serial number will be located on the side. The model and serial number label on a Little Wonder Truck Loader is located in front of the engine on the back of the blower housing. Look up your Little Wonder Truckloader parts. 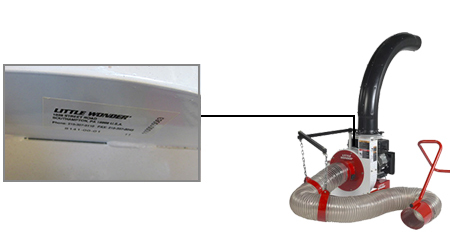 The model and serial number label on a Little Wonder leaf blower is located on the back of the blower housing. Look up your Little Wonder Leaf Blower parts.